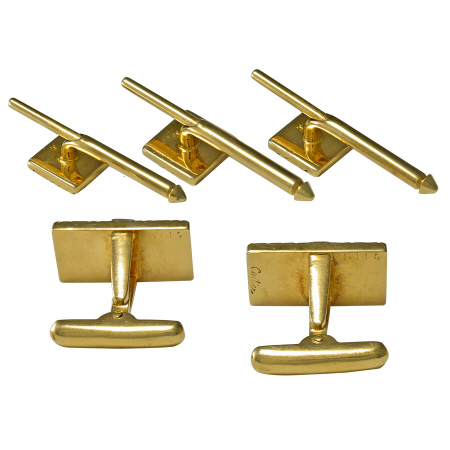 Cartier Gold & Diamond Cufflink and Stud Set. 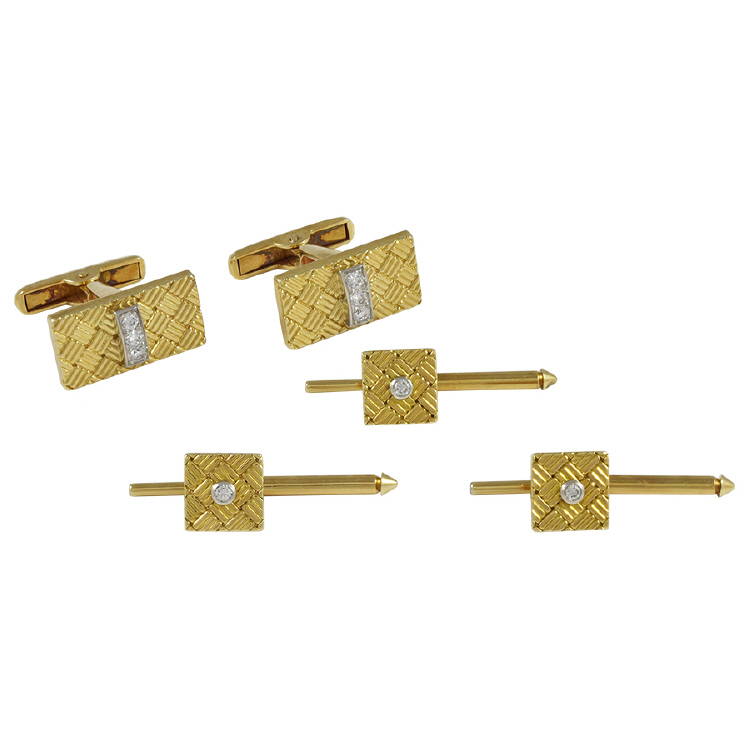 This is a five-piece set of two cufflinks and three dress shirt studs in 14 karat gold with diamonds. Each cufflink measures .688 inches wide by .375 inches and the studs each measure .35 inches square. Each piece bears marks for Cartier and 14 k. This set is in excellent condition.